When it comes to investment loans Nexhome Finance Gold Coast and Brisbane can help you find the right one to suit your needs. Investing in property is a popular method Australians use to create a better financial future for themselves and their family. There is no shortage of information available online about where and how to invest in property but one of the key factors in successful property investing is structuring the investment loan correctly. Younger generations growing up in Australia have to prepare for a financial future that may not be supported by the government and property investing can be a low risk and effective way to achieve it. For most people property investing also means taking on an investment loan possibly in addition to a home loan they may already have. There is no limit to how many investment properties you can purchase if you are an Australian citizen. This means that as long as you have the means to borrow and realistically service an investment loan, you can build an investment property portfolio that will give you the lifestyle you seek. 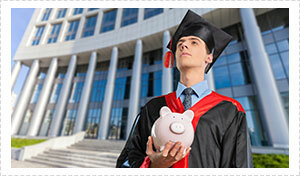 Investment loans can have a stricter eligibility criteria and may require a larger deposit. Interest rates can also be slightly higher than standard home loan rates. The right investment loan matched with sound property investing can be a safe way to accelerate your financial growth for the long term. The tax benefits, capital growth and the income stream from rent are beneficial but there are also cost considerations such as maintenance, council rates, insurance, real estate commissions and of course interest rates on the investment loan. 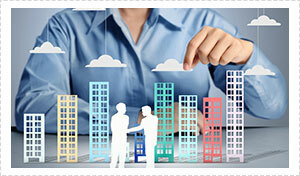 Ensure you seek advice from a company experienced in investments loans before choosing one. Understand your borrowing capacity and take into consideration additional costs such as stamp duty and legal fees. Be sure the loan structure you choose supports your long term goals from the outset because how the loan is structured may affect any loan you take out for your next property. If you’re investing for the first time or if you have had some experience you should seek out someone with expertise in the area of investment loans to help you. Never make emotional purchasing decisions when it comes to investing in property. Successful property investing is not about how you feel, it’s all about numbers and how they fit with your strategy and goals. That’s true not just for the property you invest in but also for the type of investment loan you take. Investment loans are a big commitment so make sure you get the right advice for your circumstances. When shopping for investment loans, finding quality, practical information that you can trust is the first step. Look for features that will help you to reach your goals as well as making sure you still have some financial flexibility. If you’re wanting to invest in a Gold Coast and/or Brisbane property Nexhome Finance can help you find the right investment loan. We have over 30 lenders available so we can source the best fit investment loan for your next investment property.